At the 2016 IPCPR Trade Show opening July 24th in Las Vegas, Nat Sherman will introduce the Nat Sherman Metropolitan Habano. This is a Nicaraguan puro offering that is slated to become the third offering in the Nat Sherman Metropolitan Selection line joining the current Metropolitan Connecticut and Metropolitan Maduro offerings. 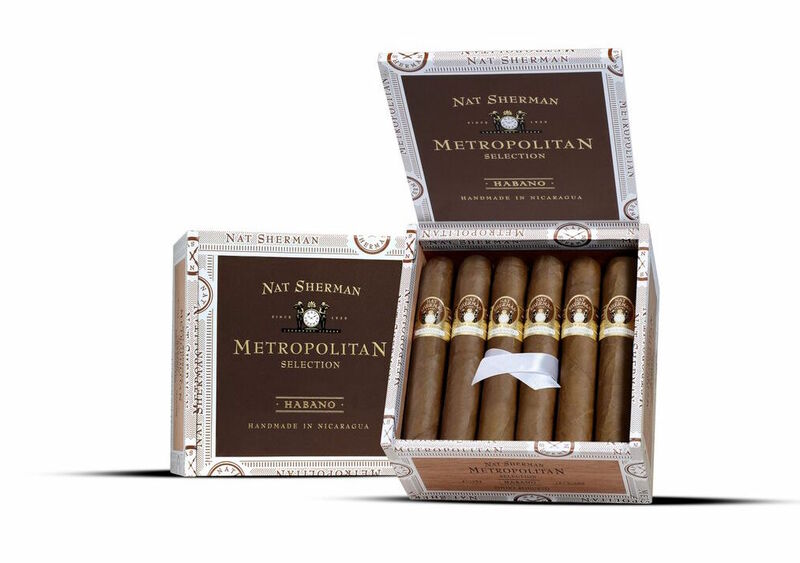 The new Nat Sherman Metropolitan Habano will be offered in five sizes: Short Robusto, Robusto Fino, Robusto, Toro, and Gordo. Each size will be packaged in 18 count boxes. In addition, the packaging for the Nat Sherman Metropolitan Connecticut and Metropolitan Maduro will be updated to give the full Metropolitan Series a consistent look and feel.